The Bellevue Botanical Garden has no visitor fee, and is open every day of the year. Please consider supporting the Garden by making a donation. We welcome donations of any size. Each year, we welcome 350,000 visitors to the Garden. They come to enjoy the beauty, learn new skills, and connect with friends and family. You can visit as often as you’d like, bring as many guests as you wish, and enjoy a wonderful living museum with a wide variety of gardens to explore. 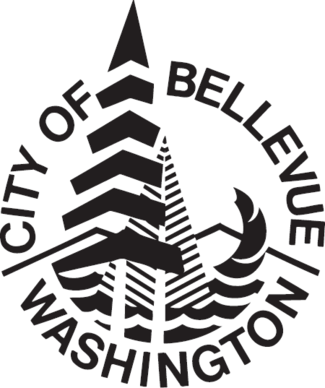 The Bellevue Botanical Garden Society works in partnership with the City of Bellevue to achieve the Garden’s mission. Our role is to raise funds, support the Garden’s physical growth and development, and provide a broad range of programs and events designed to engage, inspire and inform Garden visitors. We rely on donations, memberships, special events and sponsorships to support the free and low-cost educational programs for children and adults that enrich our community. Your donations provide critical funds to ensure that these programs can continue. Individuals donating $500 or more will be listed in the Botanical Circles of Giving for a complete year from the date of the gift, unless the donor wishes to remain anonymous. Double the impact of your gift and apply for employer matching! Many corporations offer charitable giving programs that match or even double or triple employee, employee partner, and retiree donations to nonprofit organizations. Contact your employer’s HR Department for more information. For memorial or honorarium gifts, include the name(s) of the honoree(s) and the name and address where the acknowledgment should be sent in the comment section at checkout. You may also send us an email with this information. The Garden is a cherished place, filled with beauty and lasting memories. A commemorative gift, such as a bench or tree, is a meaningful way to create an enduring tribute in honor, celebration or memory of a loved one. For additional information, contact Nancy Kartes, Garden Manager, at (425) 452-2749 or by email. Workplace giving is an easy way to make tax-deductible donations. If you contribute to United Way through your workplace, support the Society by designating your United Way contribution to the Bellevue Botanical Garden Society. Contact your employer for further information. Make a lasting contribution toward ensuring the Bellevue Botanical Garden and the Bellevue Botanical Garden Society are here for future generations. The Society brings life to the Garden through education, events, and Garden development. Learn more about Planned Giving options. There are many types of planned gifts, including outright gifts, bequests by will, charitable trusts, life income agreements, gift annuities, and life insurance. As a donor, it can be confusing to determine which vehicle (if any) is most beneficial to your circumstances. While the Bellevue Botanical Garden Society is ever-grateful for planned gifts, it is important for us to know that you have consulted an attorney or financial advisor. Please note that the Bellevue Botanical Garden Society is not engaged in giving legal or financial advice. Make purchases at Amazon.com through the Society portal and a portion of the purchase price may be donated to the Society. Click here for more information. Sponsoring the Bellevue Botanical Garden Society provides you with the unique opportunity to connect with the diverse people of King County, build brand awareness, and show your support of a beloved community institution – the Bellevue Botanical Garden! To learn more about sponsor opportunities, contact Tracy Landsman at (425) 452-6919 or by email.